With autumn arriving and snow not too far away, volunteers are needed to help beautify Delaware by participating in the upcoming State Roadway Cleanup. The Ohio Department of Transportation (ODOT), Keep Ohio Beautiful, Keep Delaware County Beautiful, Delaware General Health District, Ohio Wesleyan University, City of Delaware, DKMM Solid Waste District and Cooper Tire & Rubber Company promoting their Tire & Vehicle Safety Program titled “Tread Wisely,” are asking volunteer groups, individuals, businesses and organizations to join together to pick up litter along the highways and roadways of Delaware on Saturday, Sept. 29. Those interested can preregister at: https://www.eventbrite.com/e/keep-ohio-beautiful-state-roadway-cleanup-tickets-50229498783. Hundreds of volunteers comprised of neighborhood groups, businesses and organizations will take to area roadways to pick up thousands of pounds of litter, recyclables and debris between 8:30 a.m. and noon. The State Roadway Cleanup kickoff will be held at the Hamilton Williams Campus Center at 40 Rowland Ave., Delaware, in the Benes Room. Registration will begin at 8:30 a.m., followed at 9 a.m. by a brief welcome and safety presentation. Volunteers will then clean up the roadways from 9:30 a.m. to 11:30 a.m.
On average, ODOT spends over $4.5 million each year picking up nearly 400,000 bags of trash from highways and interchanges. The cost and time involved for crews to remove litter, however, could be used for much-needed equipment or highway repairs. ODOT also offers an excellent volunteer opportunity year round for volunteers to participate in clean-up programs through its Adopt-A-Highway program. Volunteers adopt a two-mile section of roadway or an interchange along the state highway system, picking up litter and debris a minimum of four times each year. Groups interested in Adopt-A-Highway can go online to www.dot.state.oh.us and look for the Adopt-A-Highway icon. For more information on Keep Ohio Beautiful’s Statewide Roadway Cleanups, contact Michael Mennett at 330-338-8328 or mmennett@keepohiobeautiful.org , or visit www.keepohiobeautiful.org. Keep Ohio Beautiful, a 501(c) 3 nonprofit organization, believes that everyone deserves to live in an environment that is healthy, safe, clean and beautiful. 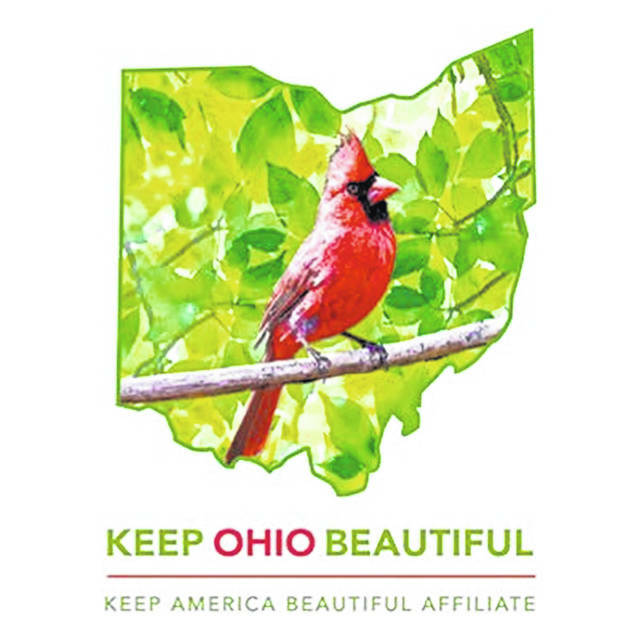 As a state affiliate of Keep America Beautiful, Keep Ohio Beautiful serves as Ohio’s umbrella organization for our local 40 affiliate organizations in numerous Ohio communities. By providing a strong support system and the sharing of best practices, Keep Ohio Beautiful enables volunteers in communities throughout Ohio to improve waste handling practices, litter prevention, recycling, beautification and community greening efforts. Website: www.keepohiobeautiful.org / Twitter: Ohiobeautiful / Facebook: KeepOhioBeautiful. Submitted by Keep Ohio Beautiful.